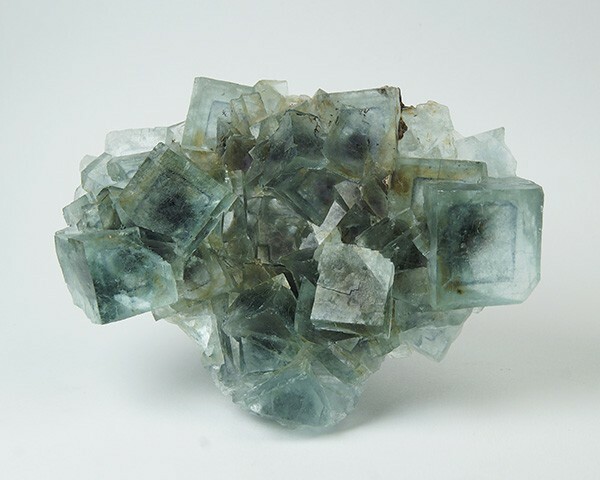 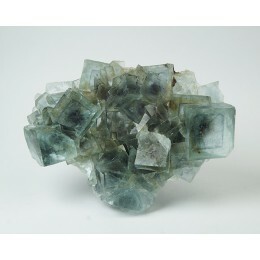 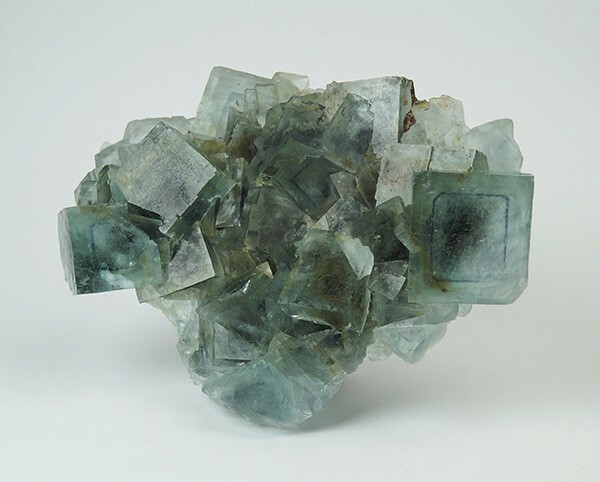 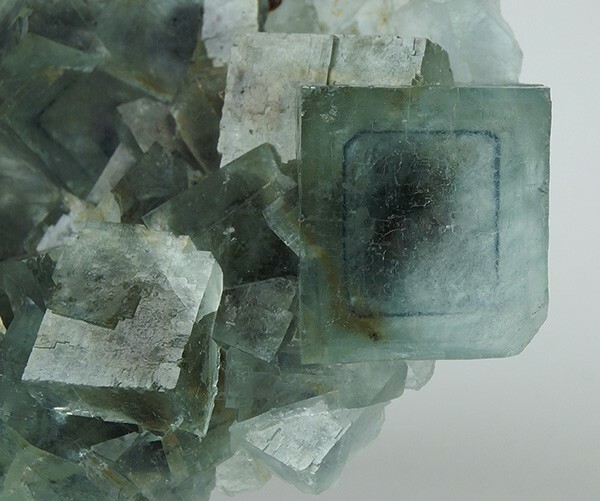 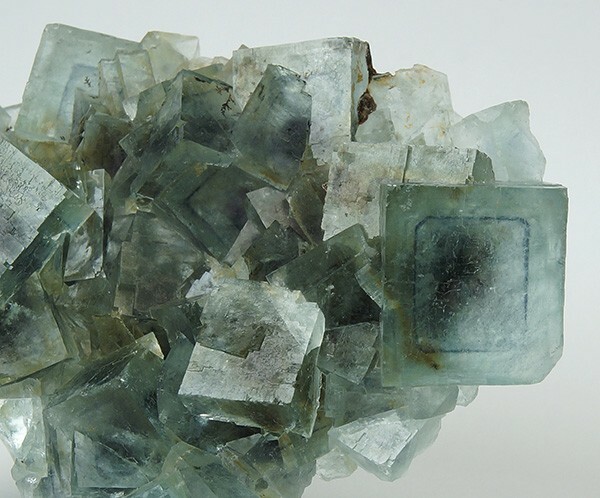 Intense lustrous transparent Fluorite crystals of sharp edges, of green color with internal blue phantom. 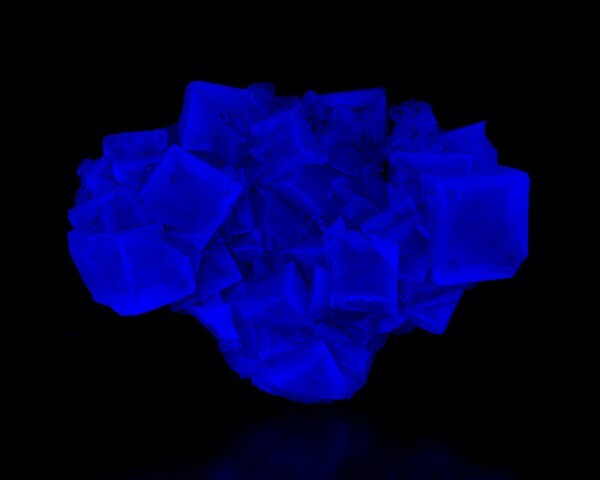 Shows intense fluorescence under UV light. 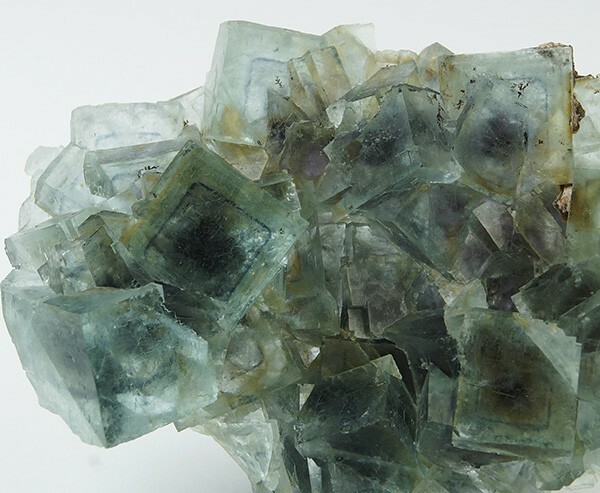 The color is far better in person than on photos.